Nursery group wins the double – Ofsted Outstanding! A Doncaster nursery partnership has gained its second Ofsted Outstanding grade in just 4 months. This is the first time two privately run nurseries, in the same group, have gained such an achievement in Doncaster. Only 10% of nurseries are classed as Outstanding by Ofsted who aim to inspect every nursery in the country within a 5 year period. The partnership of Jonathon and Donna Woodhead started in 2004 when they struggled to find quality childcare for their own children. They opened Small World Day Nursery in Hatfield in a converted barn. “It started as a small project caring for a few children alongside our own two boys. But very soon we were inundated with bookings and had a long waiting list so decided to expand the business” said Donna, Director of Education. In 2005, Small World expanded the whole site into a nursery catering for up to 90 children. It has been at high capacity ever since and has cared for well over a thousand children during that time. Looking to expand, the couple purchased the old St Marys School site on Bawtry Road Bessacarr in 2009, which at the time was derelict. After an extensive refurbishment St Marys Day Nursery opened and from a standing start it now caters for up to 150 children each day. “The formula for success is a focus on quality in everything we do. Time is spent on recruiting exceptional practitioners who show dedication, commitment and a sound understanding of children’s individual needs. Some of our staff have been with us 10 years which demonstrates our commitment to outstanding levels of service for all” said Elaine Murray, Senior Manager. The group now employs 85 people in Doncaster and provides care for more than 400 families each week. Both nurseries were graded outstanding in all of the inspection areas which includes the following: Effectiveness of the leadership and management; Quality of teaching, learning and assessment; Personal development, behaviour and welfare; Outcomes for children. Small World Day Nursery was awarded its outstanding grade in September 2015. The inspector’s findings were highly commendable, in particular the superb transitions throughout the nursery and onto school, that both owners and managers were highly ambitious and that all children were extremely keen and active learners. Emma Oates, manager at Small World, acknowledges that to achieve an outstanding grade under the new inspection framework, “requires attention to detail, going above and beyond and listening to the needs of the children and families who attend our nursery”. 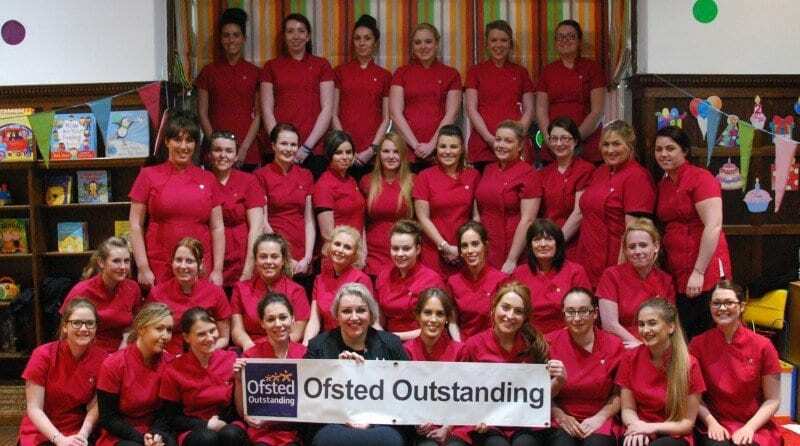 St Marys Day Nursery was awarded its outstanding grade in December 2015. The inspector commented that staff have a clear vision of their own professional goals and have high aspirations for children and that children truly take centre stage. Children experience highly challenging and stimulating activities that promote exceptional progress and are extremely motivated, enthusiastic and excited to learn.